Smooth on eco-friendly body lotion formulated to replenish moisture and relax your skin after exposure to sun and wind. The blend of aloe, green tea, tulsi, and olive leaf extracts and wakame seaweed nourish skin and leave behind a light, refreshing scent. 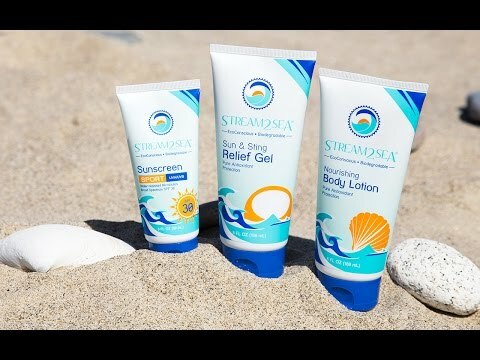 Like all of Stream2Sea’s eco-friendly beauty products, this formula is certified biodegradable and safe for marine life, so it won’t harm the environment when it washes off.